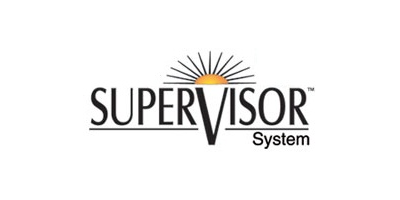 Supervisor Systems where we provide you with the technical tools needed to make effective management decisions for your business. Our background in dairy nutrition and operation consulting gives our team the experience and expertise to create effective feed management, inventory control and hoof health monitoring systems. These systems are flexible and can be customized to meet the unique needs of your operation. Time is valuable, this drives our focus to produce programs that are user friendly, yet capable of providing you with the details needed to make informed decisions. K S Dairy Consulting, Inc. began serving dairy producers throughout northwestern Wisconsin and eastern Minnesota in 1993. What began with a focus on dairy nutrition quickly grew into enterprise management as we helped our clients look at the big picture of feed management and cow comfort. As dairy expansion moved into full swing, producers needed systems in place that would allow them to monitor and manage their dairies. There were many ideas as to what target levels of weigh backs, feed costs and intakes should be but there was no accurate way for the average producer to really know where they really were. Then there was the feeder that looked like he was probably doing a good job but was he. The need to better understand these variables brought about the development of Feed Supervisor Software in 1996. What started out in a local market has grown to become the premiere feed management system with a global presence. The focus of Feed Supervisor can be broken down into four main areas. Ration Management - making sure that the ration balanced by your nutritionist is the one fed to your cows. Bunk Management - Discover the level of clean up or weigh back that is most profitable for your dairy and then maintain that amount. Operator Performance - Making sure that your employees are properly loading, mixing and delivering the rations. Inventory Control - Monitoring inventory and controlling shrink. As feed prices began to rise, inventory management moved to the forefront as producers looked for ways to control ration costs. With this in mind we introduced Truck Supervisor as a convenient way to record incoming feed to the dairy. Our Click and Go Technology allows forage and grain harvest to be recorded with a high level of speed and accuracy. 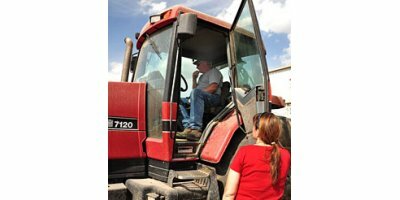 The smart card reader provides an easy way for off farm truckers to record weights and unload without your assistance. These features give us a better understanding of inventory control and a powerful tool as we work to eliminate shrink. Total dairy management involves so much more than balancing rations. More and more work has been done to identify what the real issues and bottlenecks are that prevent dairy operations from meeting their true profit potential. This brought our focus into the area of hoof health. We all know that a cow with sore feet is not going to meet her full production potential. Hoof issues are often the main reason that cows leave the herd prematurely. With so much at stake there was no way for management to really understand the causes of lameness on the dairy. Hoof Supervisor fills that void by creating a computerized data recording system so that the true cause of lameness can be identified and then eliminated. Instead of a pile of manure stained trim sheets we can now provide you with colored graphs and reports with the data you need to reduce cull rates. Much has changed since our company was founded to what has now become Supervisor Systems. What has not changed is our commitment to the clients we serve and industry that we work in. Our focus remains on providing a quality product backed by the service and support needed to make our clients successful. Our consulting services continue to put us on the front lines at successful dairies each day. Working with TMR operators, herdsmen and being part of the management team on these dairies gives our team the experience and creativity to continue building and improving our product line.